Between Ms. Scaltrito’s 30 years in education, ESUSD has been fortunate enough to have her for the last 20, as an educator, counselor, and leader. During the bulk of her time with us, Ms. Scaltrito taught third grade at Center Street. She has also spent 15 years as a union site representative, and 16 years as a Certificated Health Benefits representative. She is an achievement team leader for third grade, and she had an instrumental role in the integration of Common Core for her grade level. She actively leads the Toy and Book Fair for the third grade community service project. Ms. Scaltrito is struck by the number of students that return to her classroom for a visit, sharing their successes and thank her for being a foundational part of their passion and joy for learning. She reminds them to hold on to their dreams and never let anyone take them away - and most importantly - to always reach for the stars! While Ms. Varghese is a more recent addition to the ESUSD faculty, she has wasted no time in making her mark as an invaluable member of the team. She’s worked as a classroom educator for four years, in addition to a four-year position at learning centers in Santa Barbara and Chicago. She has worked at ESUSD for three years, and we are very happy she is making El Segundo her home as a first grade teacher at Richmond Street School. During her time at RSS, she has taken on plenty of roles outside the classroom. She is a fellow in the Cotsen Foundation cohort, where elementary teachers commit to innovative practices in teaching mathematics. She is a building representative for the El Segundo Teachers Association, and she helps organize the annual volunteer luncheon each spring for 200 attendees. Her efforts are always focused on helping the children, clearly seen in her writing workshop program for students and parents within the Family Literacy Night held in he spring. Lori Preuss is one of the most beloved teachers at El Segundo Middle School. She has spent her entire teaching career of 18 years at ESUSD, as a physical education instructor for 4th and 5th grade at both elementary schools, and all grade levels at the middle and high school. In addition to teaching P.E, Ms. Preuss serves our district students and staff through many other roles: she is an ELD coordinator, a subject area leader at ESMS, an emergency preparedness team member, and an after-school sports coach. Mrs. Preuss shared that she truly enjoys adolescent humor, and admits that she can often be found laughing uncontrollably at something funny her students have said. 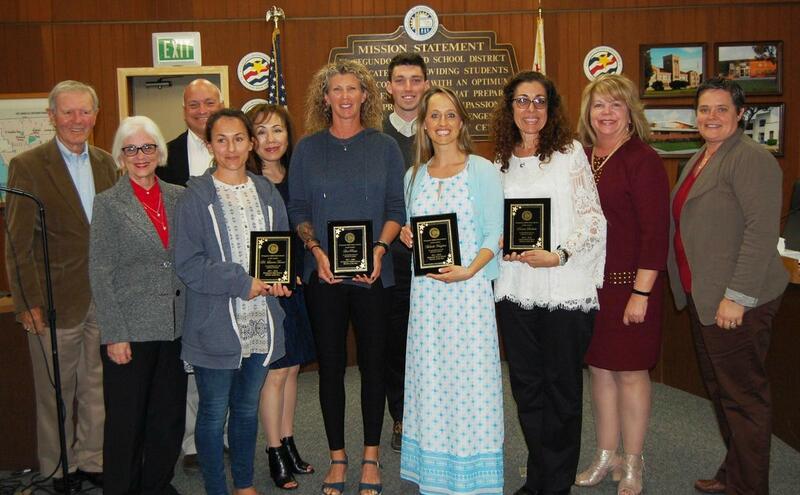 Ms. Preuss says her proudest moments as an educator include being selected as an unsung hero for ESUSD, and the experience of being personally recognized by the state superintendent for her contributions to the P.E program. Dr. Turner is a veteran math teacher with 15 years experience, 12 of which have been with the ESUSD. She teaches mathematics at the high school level and has worked with students in grades 9-12. Dr. Turner is the Math Department chair, working tirelessly to provide support to the leadership team and members of the department. She has two shining memories during her time at ESUSD, the first is seeing math achievement scores improve steadily the past two years, and the second is the expansion of the mathematics course offerings in an effort to support every student to the highest possible degree.